In a pair of recent decisions issued a week apart, the United States Supreme Court refined jurisprudence surrounding the Federal Arbitration Act (FAA or Act), 9 U.S.C. §§ 1-16, and addressed the gateway question of a court’s primary power to determine whether a matter is arbitrable. First, the Court resolved whether a court or an arbitration tribunal has the ultimate say about whether a claim is arbitrable where the parties’ agreement delegates questions of arbitrability to an arbitrator. Next, the Supreme Court addressed whether an exemption under FAA § 1 is a threshold question for a court to resolve where the contract delegates questions of arbitrability to an arbitrator. On January 8, 2019, the Court issued its unanimous decision in Henry Schein v. Archer & White Sales, (No. 17-1272)(Jan. 8, 2019), and determined that courts must respect a parties’ decision on the question of arbitrability as embodied in the contract but there must be “clear and unmistakable” evidence that the parties agreed to arbitrate arbitrability. The Court further held that the “wholly groundless” exception to arbitrability—which provides that a court should decide the threshold arbitrability question if the argument for arbitration is wholly groundless—was inconsistent with the FAA and Supreme Court precedent. On January 15, 2019, the Court issued its unanimous decision in New Prime Inc. v. Oliveira, (No. 17-340)(Jan. 15, 2019), and found that an FAA exemption is a threshold question for a court to decide. In Schein, the parties’ dispute stemmed from a distribution contract involving dental equipment. When the relationship soured, Archer & White Sales, Inc. (Archer & White) sued Henry Schein, Inc. (Schein) in federal district court seeking monetary damages and injunctive relief. The contract provided, in relevant part, that “[a]ny dispute arising under or related to this Agreement (except for actions seeking injunctive relief …) … shall be resolved by binding arbitration in accordance with the arbitration rules of the [American Arbitration Association].” Id. at 2. Shein sought to compel arbitration and argued that the parties’ contract delegated the arbitrability question to an arbitration tribunal. Archer & White maintained that the district court could resolve the threshold arbitrability question under the “wholly groundless” exception because the parties’ contract barred arbitration when a party sought injunctive relief. The Court rejected the “wholly groundless” exception as inconsistent with the Act’s text and the Court’s precedent, reasoning that under the FAA, “arbitration is a matter of contract, and courts must enforce arbitration contracts according to their terms.” Id. at 4. The Court explained that “[w]hen the parties’ contract delegates the arbitrability question to an arbitrator, the courts must respect the parties’ decision as embodied in the contract.” Id. at 8. Notably, however, the Court expressed no view regarding whether the parties agreed to arbitrate arbitrability and cautioned that courts “should not assume that the parties agreed to arbitrate arbitrability unless there is clear and unmistakable evidence that they did so.” Id. at 8 (quotations and citation omitted). As discussed by the Fifth Circuit below, under the American Arbitration Association (AAA) rules, “the arbitrator shall have the power to rule on his or her own jurisdiction, including any objections with respect to the existence, scope or validity of the arbitration agreement.” Archer & White Sales, Inc. v. Henry Schein, Inc., 878 F.3d 488, 493 (5th Cir. 2017). The Court remanded to the Fifth Circuit the question of whether the parties’ agreement—which referenced AAA arbitration rules—in fact delegated the arbitrability question to an arbitrator. Id. at 8. The Court in New Prime examined the threshold arbitrability question in the context of the application of an FAA exemption. Section 1 of the FAA provides that “nothing” may be used to compel arbitration in disputes involving “contracts of employment of seamen, railroad employees, or any other class of workers engaged in foreign or interstate commerce.” 9 U.S.C. § 1. 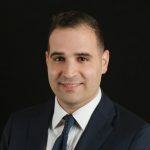 In New Prime, Dominic Oliveira (Oliveira) was a truck-driver apprentice for New Prime Inc. (New Prime), who worked under an operating agreement that labeled him as an independent contractor and which contained a mandatory arbitration provision. Oliveira initiated a class action against New Prime Inc., inter alia, alleging the company violated the Fair Labor Standards Act, 29 U.S.C. §§ 201-219, as well as the relevant state minimum-wage statute, by failing to pay its truck drivers minimum wage. New Prime moved to compel arbitration. The Court in New Prime addressed two questions, both of which were answered in the affirmative. First, with respect to the applicability of the FAA exemption, the Court highlighted the “significance of the statute’s sequencing,” and explained that in order “to invoke its statutory powers under §§3 and 4 to stay litigation and compel arbitration according to a contract’s terms, a court must first know whether the contract itself falls within or beyond the boundaries of §§1 and 2.” Id. at 4. As for whether the term “contracts of employment” in Section 1 of the FAA should be read to also include independent contractor agreements, the Court turned to contemporaneous authority around the time of the Act’s adoption, including dictionaries, state court cases and neighboring language in the Act and determined that “[w]hen Congress enacted the Arbitration Act in 1925, the term ‘contracts of employment’ referred to agreements to perform work.” Id. at 15. The Court concluded that Oliveira’s agreement with New Prime fell within Section 1’s exception. For more information about the Schein and the New Prime cases or about Walsh’s Business and Commercial Litigation Practice, please contact Hector D. Ruiz at hruiz@walsh.law or at (973) 757-1019.